Back in 2004, a graphic designer colleague and I were asked by the Partnership – a guild of local businesses basically – to develop a website for the town. We enthusiastically accepted the challenge but soon discovered that politics and conflicting ideas within the Partnership made any kind of progress extremely difficult. The project ran out of steam, we all moved on to other things and in 2007 I moved to Manchester. Fast forward some years and one day I decided to see if anything had ever become of the town website. The domain that had previously been secured had been taken over by someone else, but there was a new website at a new domain. The initial pleasant surprise that I felt on discovering that a website had finally been put together was quickly dampened when I saw what it looked like. The dated design could perhaps have been overlooked if everything worked, but unfortunately the site was full of broken links, empty pages and pixelated photos that were the wrong aspect ratio. I decided to get in touch so that I could offer to help fix some of these problems but the contact form didn’t work either – and there was no phone number. So, the idea of a new website was born: I’d create an attractive, modern-looking website which provided quick and easy access to everything that a potential visitor could want – things to do, places to go and somewhere to stay. It would capitalise on the tourism-focused naming convention established by Visit Britain, Visit Wales and Visit Snowdonia and would be called Visit Dolgellau. There would be no politics getting in the way this time round. The saying, “if you’ve got it, flaunt it” drove the initial concept: since the town is right in the middle of some of the most beautiful scenery in Britain, a photo gallery was a no-brainer – as was a large carousel on the front page. The other boxes to tick were “The Three As”: activities, attractions and accommodation, and these would be built around the gallery in order to provide potential visitors with the practical information they needed once the photographs had convinced them of their need to visit. Despite Dolgellau being in the middle of the Welsh heartlands and despite the fact that my first language is Welsh, I made the conscious decision that the website would be developed primarily in English: after all, the aim here was to attract visitors and no-one outside of Wales speaks Welsh. A website aimed at attracting visitors that only people who lived in the area (or more accurately, around 65% of them) could understand was simply pointless, and doing everything twice was too much work for a team of one. Google would therefore provide translation duties for all other languages. The aim of the website was to help promote the town and to boost the local economy, but I couldn’t provide it all for free because of course there are costs associated with setting up and maintaining a website. 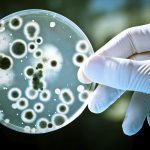 As such, I would ask each business for a nominal annual fee – just enough to cover running costs and to provide enough money to run the occasional advertising campaign – which would benefit everyone equally. 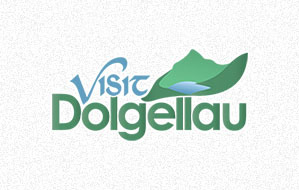 Visit Dolgellau launched last week and has so far received a very positive response! 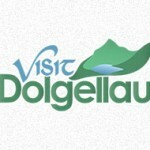 Its Facebook, Twitter and Google+ pages have all attracted likes and follows and together with the website itself, are each doing their bit for Dolgellau and the surrounding area.